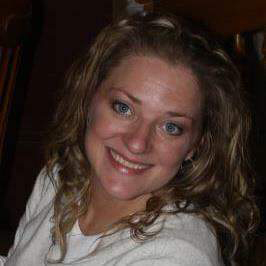 Heather Dawn Taylor, 42, of Terre Haute, Indiana, passed away September 4, 2018. She was born May 5, 1976 in Terre Haute, Indiana. Heather was faithful to God and loved him. She was a proud mother and one of her greatest joys was being “GiGi” to her grandson. Heather had a smile that could light up a room. She had a hug for everyone, and a unique laugh that was contagious. She enjoyed fishing and socializing. Heather worked in the eye care industry for most of her adult life, where her patients became her friends. Heather is survived by her companion of 20 years, Dale Good and his parents; her parents Tim and Kim Taylor; daughter Cyara Bracken (Heath Daugherty), grandson Rowan Daugherty; son Gabriel Smith; siblings Carrie Bogard (Brooks), Sean Taylor (Becky), Misty Taylor, Shannon Hunter (Simon), John Taylor (Dawn), Megan McCombs (Michael), Josh Taylor (Britney), Travis Medlin (Sarah), and Kristin Medlin; and many nieces, nephews, and extended family. She was preceded in death by her grandparents George and Lucile Taylor and Bernard Mann; nephew Matthew Lewis; and niece Brileigh Taylor. Funeral services are scheduled for Monday, September 10, 2018 at 2:00p.m. in Greiner Funeral Home, 2005 North 13th Street, Terre Haute, Indiana, 47804. Pastor Dustin Spitler will officiate. Burial will be in New Harmony Cemetery. Visitation will be at the funeral home on Monday, from 12:00p.m. until service time. Online condolences may be made at www.greinerfuneralhome.com .